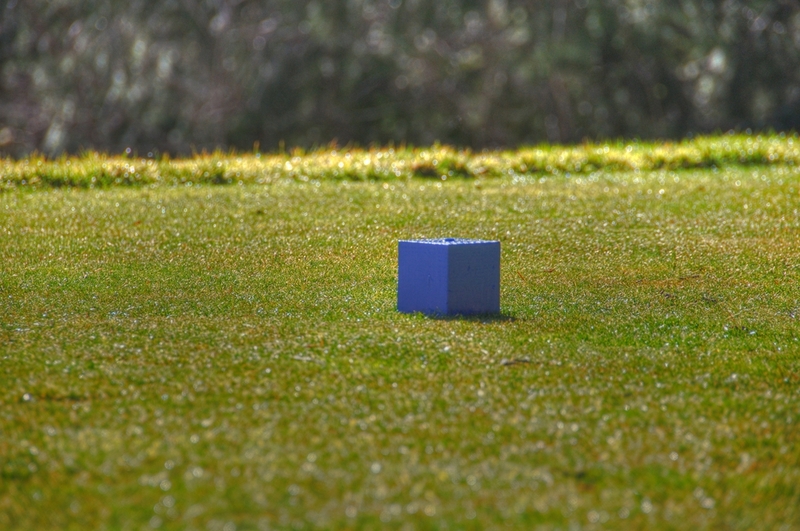 Not being a player of golf myself I never knew there were cubes involved until staying at a golf based resort. It was a restraint to not move them, being a language i don't speak I am not sure what that would do to the game of golf. I like the idea of walking round and wacking balls but I dislike the contamination golf courses seep with their sprays to keep those lawns so perfect, the water use. An elitist sport based in upper class white male culture, secretive and you know when things are that tidy on the surface it's a real mess beneath, maybe we don't that and I just assume it in my own biased fashion. I do like the cubes, let the tetris begin.